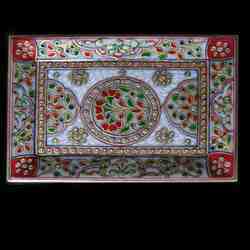 We bring forth in the market Marble Trays with intricate carvings. 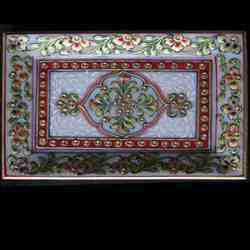 The Marble Trays we offer has colorful inlays on White Marble for creating a stylish look. 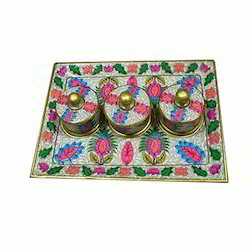 We are counted at the apex in the list of the Marble Trays manufacturers, exporters and suppliers based in India. Marble Trays we supply is in huge demand in the home furnishing industry. 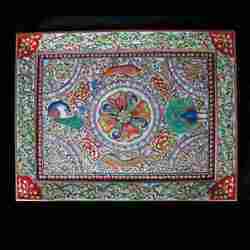 Marble Tray offered is made available by us under item code MEP-254. Featuring exclusive finished designs and crafted finish, these trays are made available with 2 bowls in sizes of .9 x 6 inch. 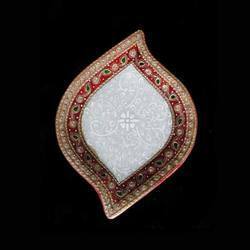 Coming with intricate carvings, these also feature colorful inlays on white marble that helps in enhancing its overall finished looks and make these a highly stylish option for home decorative as well as use in places like hotels and other similar places. 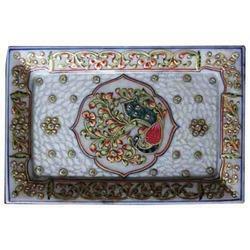 Our organization has come up with an extensive and perfect quality collection of Decorative Marble Tray. 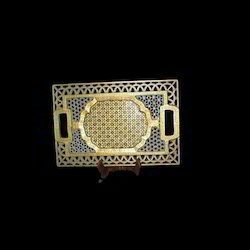 These trays are designed and produced by our engineers with the use of best quality machines and tools. 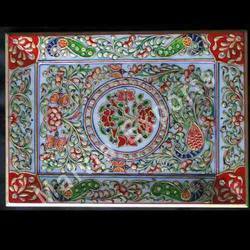 We have a vast experience of manufacturing Marble Pottery, such as Marble Serving Tray, that offers style and sophistication. 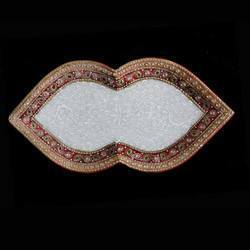 Our adept teams of artisans painstakingly create these with unique inlays and exceptional design. These are made from the finest-grade marble and checked stringently for quality in accordance with the international norms. 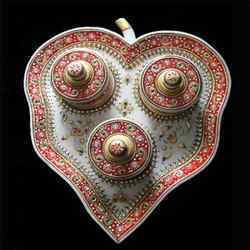 These serving trays can be a useful decorative household item or a unique gifting idea. 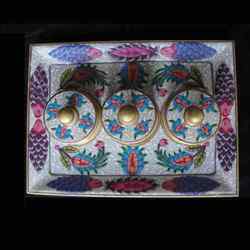 Marble Trays with Serving Bowls offered are made available by us under item code MEMR419. 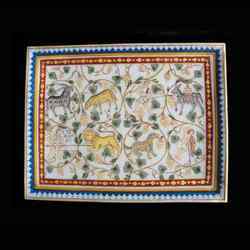 Featuring beautiful pottery work done using water colors on marble surface, these are indeed a colorful way for decorating your home kitchens. 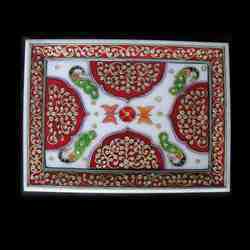 Made available in sizes of 10"x10", these feature intricate carvings and come with colorful inlays that provide in these a stylish finished look and making it a highly demanded item in the home furnishing industry. Designer Marble Tray offered is made available by us under item code MEJ-473 and comprises flawlessly crafted range of designer trays that are manufactured using quality marble stone that helps in enhancing its overall finish values. The designs and crafting are done by renowned artist Mohan who has with him extensive experience in the field of miniature art. 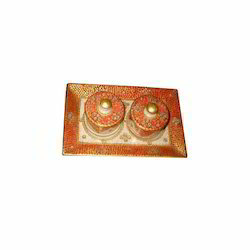 These marble trays come embossed with rich colors that are perfectly fused with 23k gold work. Packaging Details: GIFT BOX WALWET THAN FINAL PACKING DONE IN WOODEN /IRON BOXES. 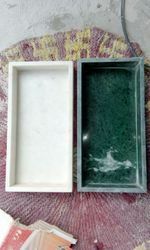 Marble trays, used as towel tray, in bath accessories both in white marble and green marble.